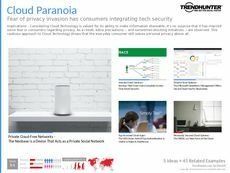 Find Better Ideas, Faster ® with a custom privacy tool trend report, our PRO Dashboard and 80+ categories of premium trend reports. The Privacy Tool Trend Report highlights new measures for increased security in a constantly evolving technological world. We sift through our vast collection of crowdsourced data to bring our clients the most up to date and cutting edge examples of privacy enhancing tools. 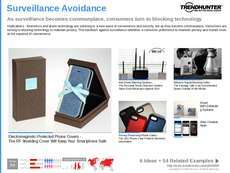 Inside this report, readers will be treated to in-depth coverage of new innovations like advanced encryption programs, surveillance blocking smartphone covers and cloud-based security systems. The findings in this report are crucial for anyone seeking to understand how to increase personal or business-oriented privacy. As the means of surveillance continue to become more advanced, our findings will help readers better understand what steps to take in order to better secure personal data from unwanted observers. 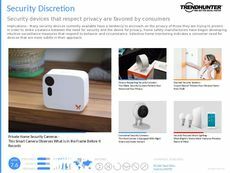 Trend Hunter's Privacy Tool Trend Report is an advanced primer for better understanding both surveillance and security measures in our modern world.